The Block Film and Art Festival will be celebrating its 7th year this fall when Cache Valley residents have an opportunity to see and experience film, music and art in one concentrated area over two days. The annual event is scheduled for September 28th and 29th and will take place at several venues in Historic Downtown Logan. Mary Urban Clark, one of the producers of the event, says over 60 films were showcased at the festival last year and there is limited time to get your film submitted for 2018. There is room for more films to be entered, but the deadline to share a film for consideration is quickly approaching. Films can be submitted online via the festival’s website: theblockfestival.org. From there, a panel made up of the festival’s organizers screen the films and give feedback. 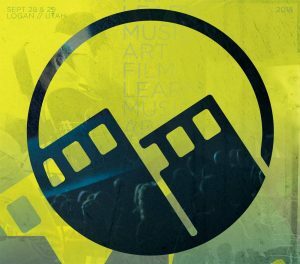 The festival highlights a variety of films, from full, feature-length films to documentaries to short films. Urban Clark says those films can be live action, narrated documentaries, animated, or even done in a foreign language. Besides calling for more film entries, Urban Clark is seeking volunteers for this fall’s festival. The two-day festival includes dozens of films, live performances, multiple art installations, interactive art, and panel discussions. Most of the festival is free and open to the public, but tickets are necessary for all films and a few experimental art installations and a few music concerts. One ticket provides access to everything the festival will have to offer over the two days. “We want to show people this is another way of using the Center block of Logan for the betterment of everybody,” Urban Clark exclaims. She says it is also important for people to purchase their tickets in advance to avoid lines and to ensure they get access to everything they want to see. And there will be a lot to see and do for multiple types of people, including families.